Winding road next 140 miles. Can you say it with me? One hundred… forty… miles. This gorgeous sign is found on Route 36 in Red Bluff, California. Sights From the Road: Now That's a Pinecone! Holy cow! Get me a map — I’m going! you mentioned before that heading to Ca. to ride the coast was something you wanted to do… after being out here again, I can tell you that it is a dream you cannot let pass you by. It is motorcycle paradise out here. Roads like 36 and its 140 miles of curves are everywhere. I have to say I found many of the roads I travelled in California this summer a bit rough – ride with caution, may be broken pavement and severe pot holes ahead. California is Roadside heaven, too. You could spend a lifetime finding “wonders” out here. I keep saying it but yes I agree that is the most amazing road sign ever. Better you than me! That’s scary! That is truly awesome! Would love to ride that one! Thanks for sharing! Thanks, Anthony – I wish everyone could ride it at least once! Is it making your heart sing? Enjoy! Oh, it sure did. LOVED it!! Wow, what a thing of beauty. You are a lucky woman, wished I was with you for that! Thanks bunches, BDB. I wish you were too. You’d LOVE it!! 36 is awesome. It’s only problem is that between May and September the Eastern gets VERY hot as it drops down from Elevation and runs out through scrub hills/desert into Reb Bluff. If you don’t want to ride the same route twice, not that it’s not worth it, and you want to stay cool, about halfway between the coast and red-bluff is route 3. Rt3 runs North from Rt36 through Hayfork and up to 299 just east of Douglass City. 299 Goes east-west between Arcata and Redding. The advantage to 299 is that it stays at elevation almost all the way into Redding. Both 3 and 299 are also VERY fun roads. You could go out one and come back on the other. If you come back on 299 don’t miss the turn north onto 99 at Willow Creek followed by a turn west onto 169 at Weitchpec. Enjoy those are truly 3 of my all-time favorite roads. Sorry that’s north on 96 at Willow Creek not 99. I met Donald Sutherland’s doppelgänger at “the” store in Weitchpec. Quite possibly the nicest guy in the world. It was nice and cool on 36 when we left in the morning. But we did 299 in the later part of the afternoon. It was over 100 degrees as we got closer to Redding. It was like hitting a wall of heat. If only it weren’t in Fornicalia. I’ll have to settle for ridine Talimena thrice to compensate. I’m sorry we couldn’t work out meeting, P. 🙁 It can be so hard to nail plans down when you have no idea where you’ll be from one day to the next. Luckily we rode 36 from Red Bluff on up to Ferndale. I had read on Pashnit that it was the suggest direction to go so we did our best to work it out that way. We rode it east to west back in 2008 too, but strangely enough – the road seemed so different to me this time. I actually enjoyed it much more this go-round. I didn’t remember the section that went through the redwoods in the west at all! It was freezing once we got over there. I missed it while I was in California. Rode route 1 (shoreline hwy) from San Francisco to Crescent City. Would have loved to do that road, how was it? is it very scenic though? Yes, it is scenic. It moves through rolling golden farm hills, up into the mountains and even has a stretch that goes through a redwood grove when you get to the western end. Cool site. Love the photo. I thought I knew all the cool roads but you have proved me wrong. Thanks for posting. i love 36! my uncle lives on the fortuna side, and riding east to west is just fabulous!!!!! 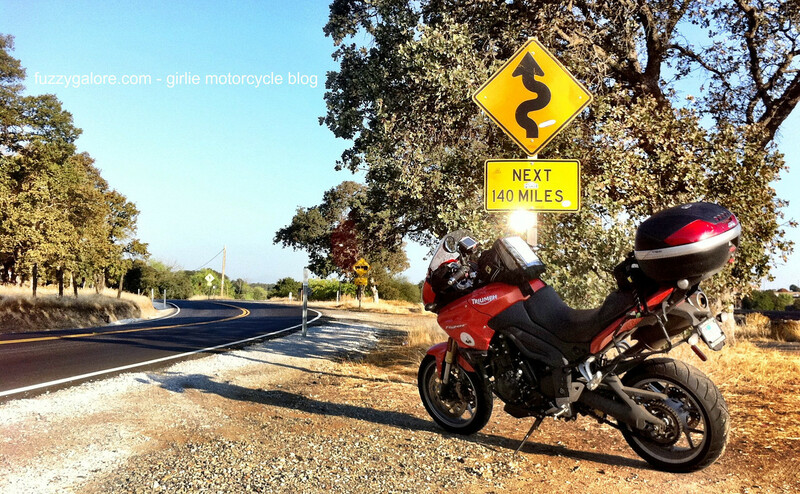 i have read at several websites that it ranks in the top 10 motorcycling roads of the USA, im not surprised. Once again snooping through your site and feel compelled to comment. I have to admit living in Nevada has opened my 2 wheel life up to amazing adventures. The last two years I have taken most day and weekend trips to the amazing riding state of Arizona. Now after reading your California stories, I might just have to dedicate some serious time to the state of California.